please contact us for any issues with this website, thanks. 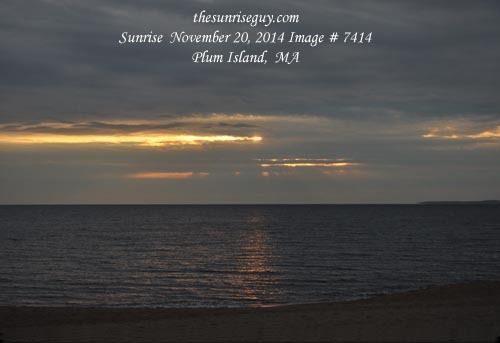 Orders may be picked up on Plum Island at my 'studio' by appointment only! Please click on the Services tab to see details! Please click on Sunrise Today to read some of my poetry and musings and a few pictures of my beach friends. feel free to call or text to order or check up on your order. We who live near the shore are blessed with one of nature's most inspirational gifts, that of the ocean dawn. Each day, special. Each mood, unique. Each interchange of space, light and sand, one to treasure. One to preserve. And, in joyous celebration or in remembrance, one to share with another. Photographer Joe Gerry shares his passion for capturing sunrise each day by offering his work as keepsake gifts. Each gift as unique as dawn itself. His sunrise collection, which began January 1, 2002 and continues currently, provides memorable gifts for milestone observances, such as a couple's wedding day, a significant anniversary, a notable birthday, and the festive day of a child's birth, arrival, christening, bar/bat mitzvah or any special day. His artwork is signed, dated and numbered, and available with custom matting or just as a print and framing upon special request. To share one of these remarkable gifts with your family and friends, or to have one for your own enjoyment, contact Joe Gerry.